So Nero worked, didn’t break in half, so Diane and I sat down and planned a lunatic tour schedule across North America (yup, Canada too). The plan was to spend the entire summer in Nero, going to most of the famous North American tracks. Diane would be with me for as much of the trip as she could stand. 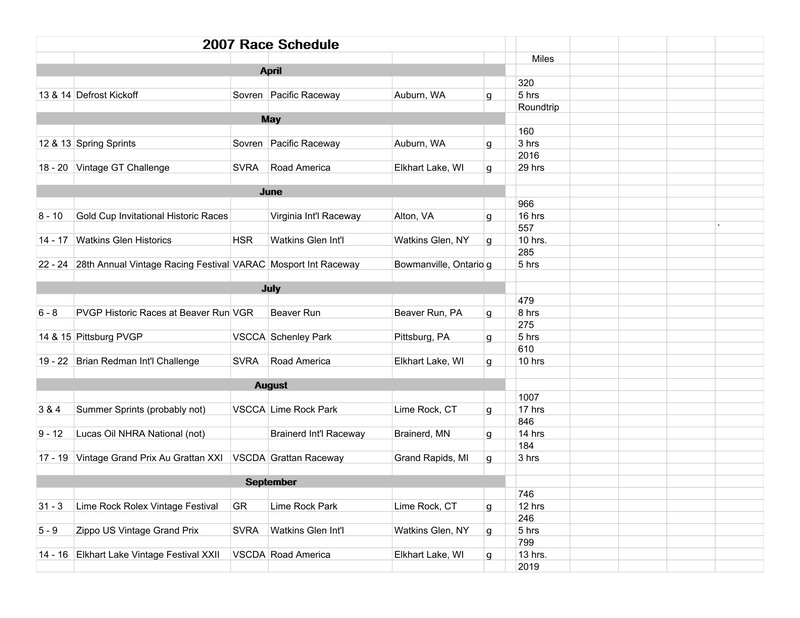 This schedule is fairly firm (most of the entries have been sent) The first two races in August are up in the air–I could use some recommendations for races those weekends. 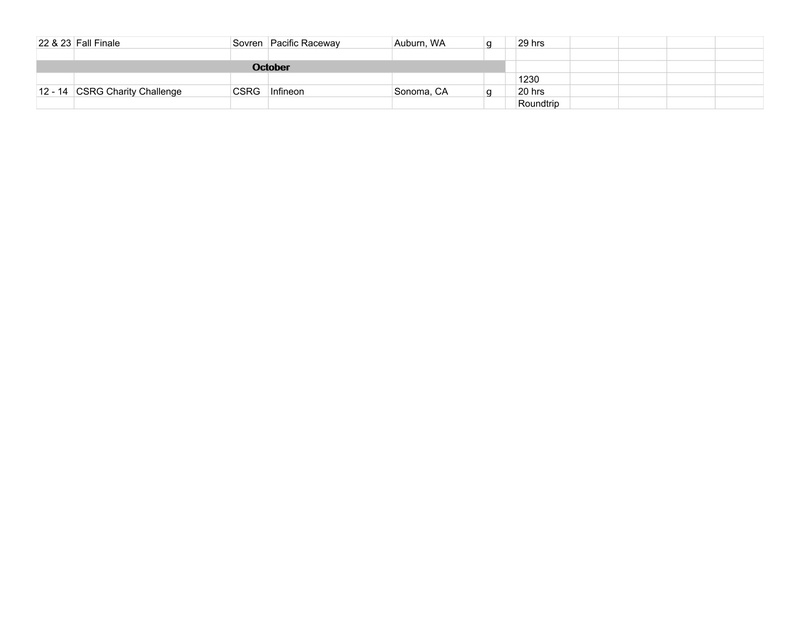 I’m also looking for some races to fill in holes if they don’t take too long of a drive. Your advice would be very welcome–just post a comment below. Thanks.